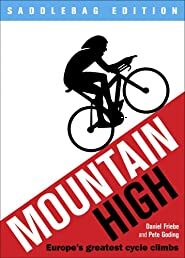 The first book to cover in detail Europe's 50 greatest climbs, Mountain High is a book for cyclists of all interests and abilities - from experienced club racers to enthusiastic amateurs who might just want to take on a new challenge. This handy small-format edition includes practical detail of each of the routes (maps, profiles, lengths, heights) and descriptions of all the main points of interest along the way. With over 250 specially commissioned photographs taken by specialist cycling photographer Pete Goding, this really is the ultimate guide to the 50 best climbs that every cycle fan wants to conquer.